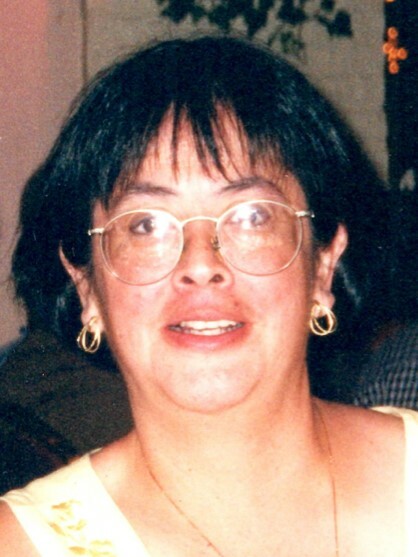 Elvira B. Castaneda, “Bea”, (nee Gonzalez), age 64, late of South Deering passed away on March 18, 2019. Beloved wife of Jesse for 42 years. Loving mother of Christopher (Liz) Castaneda and John Paul (Alexis Orr) Castaneda. Cherished grandmother of Nora Castaneda. Dear daughter of Raul and Lupe Gonzalez. Dearest sister of Raul (Donna) Gonzalez, Jr., Andrea Gonzalez, Eulogio Gonzalez and late Maria de la Luz (Donald) Mikolajczyk. Fond aunt of many nieces and nephews. Retired employee of Advocate Trinity Hospital. Visitation Thursday 2-9 p.m. Funeral Friday, March 22, 2019 at 9:15 a.m. from the Elmwood Chapel 11200 S. Ewing Ave. Chicago to St. Kevin Church. Mass of Christian Burial at 10:00 a.m. Cemetery private. In lieu of flowers memorial contributions to one of the following organizations in honor of Elvira “Bea” Castaneda would be appreciated. American Heart Association, (https://www.heart.org), American Diabetes Association (http://www.diabetes.org) or Greater Chicago Food Depository (https://www.chicagosfoodbank.org) 773-731-2749. www.elmwoodchapel.com. It's amazing how many memories came flooding back. Good memories. My thoughts and prayers are with you and the family. Michelle, please accept our condolences on your loss. When someone you love becomes a memory, the memory becomes a treasure. My sincere condolences. Bea was a great ER RN. I never forget her cheerful face and devotion to her job. I am sad to hear of Bea's passing. May she Rest In Peace and may God place a soothing hand on the grieving hearts of her family. So sorry for your loss, I have so many memories of Bea, may you be comforted with the love and support of family and friends. We are keeping you in our thoughts during this difficult time. She will be with you, always. In lieu of flowers memorial contributions to one of the following organizations in honor of Elvira Bea Castaneda would be appreciated. American Heart Association, (http://www.heart.org), American Diabetes Association (https://www.diabetes.org) or Greater Chicago Food Depository (https://www.chicagosfoodbank.org).